Today's post is about Garden Hydrangea...again. Previously I made 3 cards for my DT post over Altenew (see here). This card was created for that particular DT assignment, but I decided to share it here instead. All the images are 100% stamped. The large hydrangea is perfect for masking which I love. As you can tell, the images from the hydrangea are super detailed. I did, however, use a bit of silver (mixed with water) to add some shine. 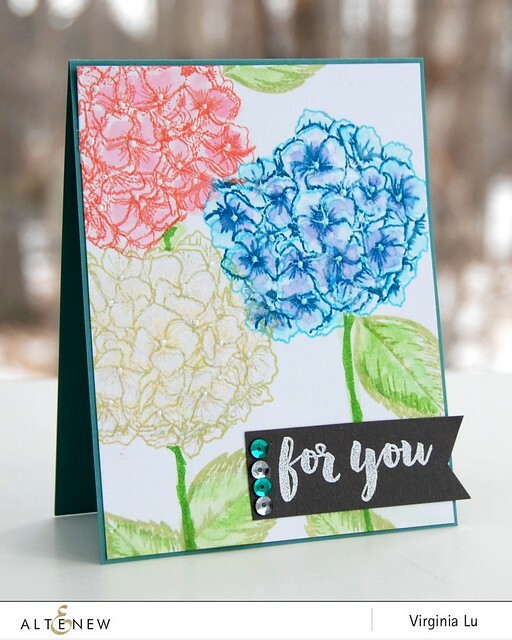 Garden Hydrangea is a true stamper's delight! Altenew Sales can be found here. I love these flowers :) They are so delicate in beautiful colors. 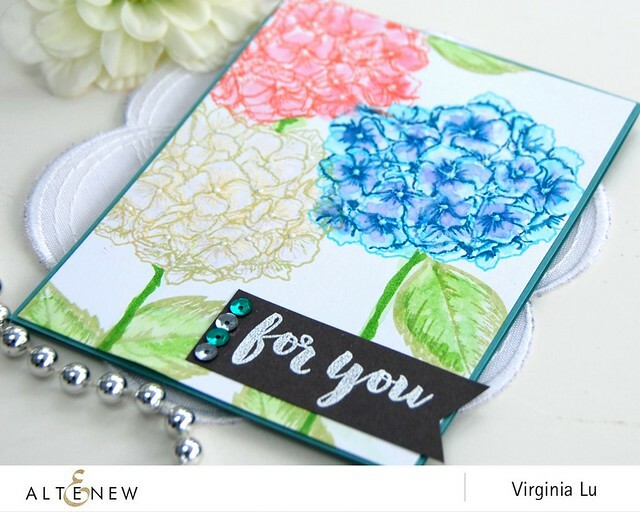 Wow, this lovely hydrangea stamp in your hands and creativity makes for a lovely, lovely card. I have a hydrangea that produced one flower last year. Wonder how this year will be? I, too, love PBS...anyone who has been watching Victoria won't be surprised by their marriage. I often read a biography of which ever historical bio PBS presents. It's amazing what additional information a book reveals. You are getting such outstanding mileage from this stamp set. Those hydrangeas look as though you just picked them. This is gorgeous!! I think I NEED this set!! This is such a pretty stamp set and you've used it beautifully! Love the colors to! I can hardly wait for this stamp set to arrive in my mailbox. 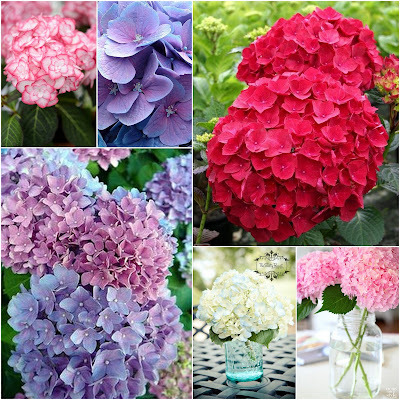 I am so glad you shared the photos of different colors of hydrangeas too. Your card is absolutely wonderful! Gorgeous hydrangeas, Virginia - just love the mix of colors! I'm loving Victoria on Masterpiece too - I have to stop myself from watching the whole series in an online binge!! Your colors are just gorgeous. I wish I had that stamp set. So pretty! Your other cards with this stamp are also very nice. Lots of different looks too. 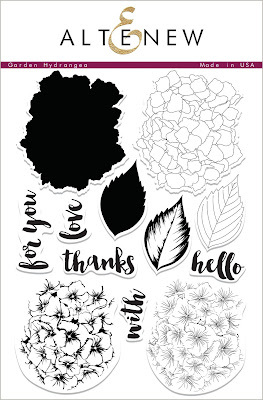 I love that flower and love what you have created with that stamp! Awesome work as always Virginia!